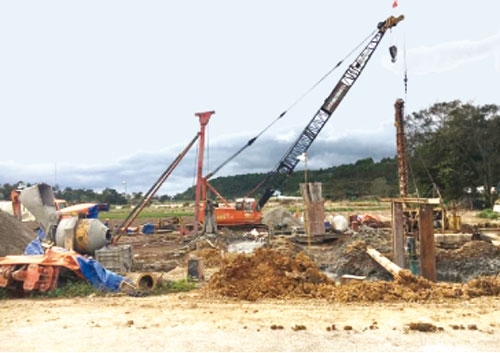 (VEN) - Lam Dong, a mountainous province in the south of the Central Highlands, is intent on carrying out an ambitious plan to build industrial zones (IZs) in order to boost the development of small and medium-sized businesses. According to the plan, by 2020 the province would have 14 IZs for SMEs. Detailed plans have been approved for 13 of them, totaling 581.465 hectares in area. Three of the 13 have already been licensed - the Gia Hiep IZ in Di Linh District, Ka Do IZ in Don Duong District and Loc Phat IZ in Bao Loc City. 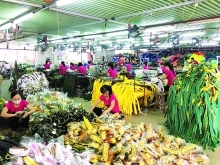 By the end of 2015, six IZs for SMEs in the province, including Gia Hiep, Ka Do and Loc Phat IZs, Phat Chi IZ in Da Lat City, Dinh Van IZ in Lam Ha District, and Loc Thang IZ in Bao Lam District, were developing infrastructure and began attracting secondary investors. They have now been put into operation with a total area of 93.06ha and an average occupancy rate of 30 percent. 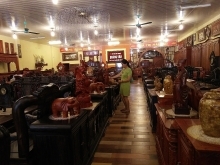 The Lam Dong Province Department of Industry and Trade assessed that the development of IZs for SMEs in the province has had certain achievements. They have attracted 30 industrial projects totaling almost VND1.21 trillion in capital, 22 of which have been put into operation and created jobs for 3,098 people. However, Lam Dong is still encountering difficulties in attracting infrastructure investors to these zones. Only one IZ for SMEs in the province has attracted such investors, while district and city people’s committees have invested in the rest. But due to shortage of capital, the infrastructure in many IZs is incomplete. For example, most of them lack wastewater treatment systems. Lam Dong has adopted preferential policies to attract infrastructure and secondary investors to IZs, while providing timely assistance for businesses when necessary and working with other localities to attract investment in building processing plants and central waste treatment systems in IZs. Given the difficulties it has encountered, the Lam Dong Province People’s Committee has decided to take three IZs out of its development plan - the 66.6ha Ha Lam IZ in Da Huoai District, the 44.84ha Da Teh IZ in Da Teh District, and the 78ha Tan Chau IZ in Di Linh District. These are far from the province’s economic hubs, transport infrastructure to the zones is inadequate, site clearance costs are high, and therefore development investment in these zones is not deemed feasible. engineering, small to medium-sized engineering, handicraft and mineral processing industries.